Watts - Bird Tire Sales & Service, Inc. 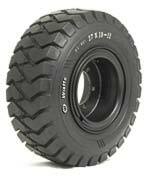 The Watts Premia forklift tire is the most recent major product development from Watts Industrial Tires. This is a premium quality tire designed to provide outstanding levels of service in highly demanding working environments. 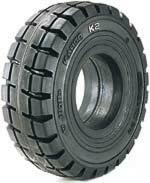 The Watts Kargo K2 forklift tire is the successor to the highly regarded Kargo product, which established itself as a market favorite and all purpose industrial tire. The K2 design maintains this heritage while adding new qualities and performance characteristics. 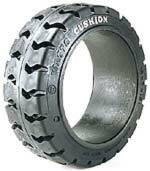 The best solid rubber tire on the market. This is a three stage rubber tire with wire beads. Aggressive lug tread pattern for maximum traction. 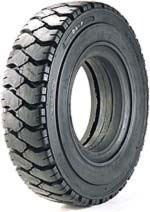 This forklift tire can be used with either split wheels or lock ring type wheels. 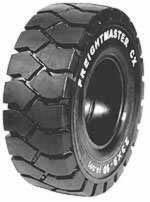 Will outlast pneumatic tires without the worry of flat repairs and down time involved. A Press-on tire is made of rubber bonded to a mild steel band which is pressed as an interference fit onto a wheel. The steel band is a mild steel strip which is rolled, welded and expanded in-house by Watts wheel division. Adhesion between the steel band and the rubber is achieved by applying two specially formulated bonding agents after the metal has been degreased and shot blasted. Watts is a world leader in Press On Band technology offering an extensive range of styles and tread pattern options. 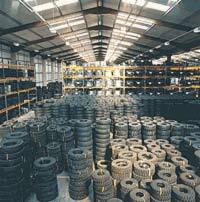 Particular design emphasis is placed on producing tires with a large footprint area, square profile, low heat build up and low rolling resistance. 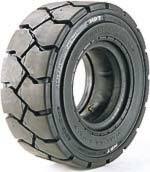 The Watts HPT forklift tire is a premium quality pneumatic range of tires featuring a heavy duty cross-ply construction and tough reinforced under tread and bead area. HPT tires have a reinforced sidewall to give additional puncture protection, lower deflection combined with a wide profile area. 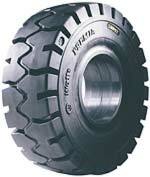 Watts HPT tires are available in J Lug and Skid Steer Loader tread pattern options. DL-P tires feature a deep lug tread pattern for superior traction and thick, reinforced sidewalls for strength, stability and longevity. Available in a range of popular sizes and ply ratings and three distinct tread patterns- J Lug, Block and Skid Steer Loader. The DL-QZ1forklift tire is a value for money tire featuring an advanced tread design and reliable standards of quality. Available in a wide range of popular sizes and ply ratings.